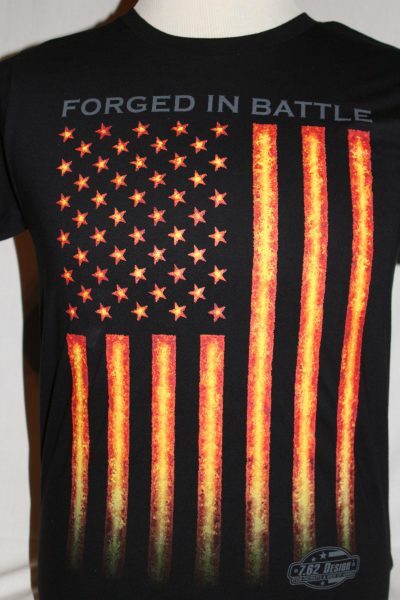 The Forged In Battle T-Shirt is a single sided print in black. 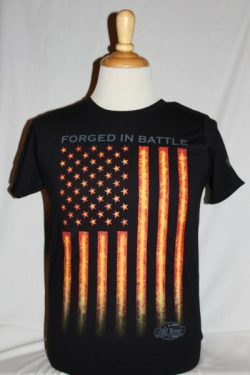 Front Design Only: Vertical faded American Flag with text. 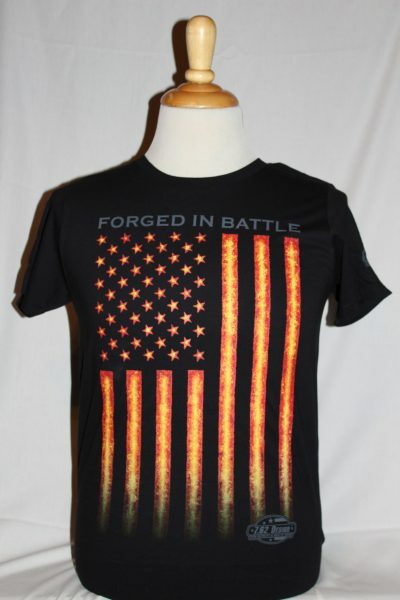 7.62 logo on left sleeve.